It is officially confirmed that Vivo will very soon launch its new smartphone offering under the name of Vivo V15 Pro, at least in India. In fact event invites have already been sent out that is set to take place on February 20. And to kick things off, Vivo India has just published an 18-second teaser on their YouTube channel showing one of its brand ambassadors, Aamir Khan, using the upcoming V15 Pro. 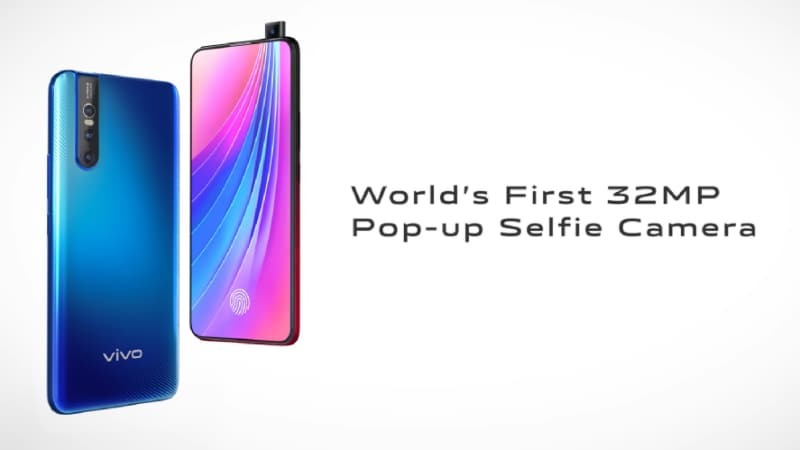 At the end of the video, we are told that the phone will have the world's first 32MP pop-up selfie camera. Check it out below. In addition to the pop-up front camera that is to sport 32MP sensor, the video clip also gave us a quick glance at its vertically-aligned triple-rear camera set-up with AI technology and the back panel in gradient blue paintjob. It is also worth noting that the back panel appears to sport a textured finish similar to what we have seen in Huawei Mate 20 series, and it looks stunning though. Reports claim that the triple rear cameras will have 12MP+8MP+5MP sensors with the main 12MP shooter capable of pixel binning technology allowing it to produce up to 48MP resolution. A teaser webpage on Amazon India confirms the Vivo V15 Pro to have an in-display fingerprint scanner and a USB Type-C port. The Vivo V15 Pro is expected to be priced at around Rs 30,000 when launched in India.